Social Fabric Design House design unique, vibrant and hard wearing, commercial grade fabrics. Choose from our existing catalogue or we can modify our designs for your project. We can also create original designs to order. If you want OZ Clean Team Brisbane? Are you searching for a good and accurate platform where you can just hand over your precious and lovely leather and fabric covered furniture? 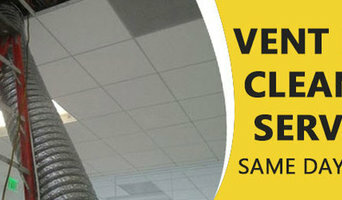 We provide more services such as couch cleaning Brisbane, cheap upholstery cleaning Brisbane, sofa dry cleaning near me. OZ Clean Team is the best solution for the same day at any time and couch cleaning, lounge cleaning, and sofa cleaning services. Our active team of experts will arrive at your place within 2-3 hours of your booking. We will also provide emergency upholstery cleaning services. Just call us at + 61 414 530 372. At Delux Upholstery Cleaning Brisbane - We provide varied advantageous services to our customers such as Upholstery Cleaning Brisbane, Sofa Cleaning, Couch Cleaning, Leather Couch Cleaning, Leather Upholstery Cleaning, lounge cleaning price, steam clean couch and more. We provide 100% customers comfort promised. Reestablish your house upholstery quickly. The specialists of Deluxe Upholstery Cleaning Brisbane are absolutely authorised and encountered. With the cooperation of verified cleaning solutions and best tools our cleaning company never fails to deliver you desired outcomes. Call us today on +61 414 530 372 now for the same day upholstery cleaning services or you can reach us online too. Choose Peters Cleaning Services-Couch cleaning services. We at Peters Cleaning Services, provide exceptional Upholstery and Couch Cleaning Brisbane. 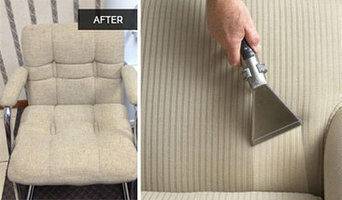 Peters Cleaning Services is one of the leading Upholstery cleaning company in Brisbane. We are known for our professional affordable cleaning services.We offer Sofa Cleaning, Couch Cleaning Brisbane, Leather Sofa Cleaning and Leather upholstery Cleaning. Our professionals are well trained and qualified to clean your upholstery with the best cleaning procedure. We have the best technicians who always try to give complete satisfaction to our customers with the best cleaning services. We also deal in deodorization of upholstery and scotch guard service. So, call us +61 414 530 372 and get our professional upholstery cleaning services. Aqua door Designs is Angela Richardson - a Brisbane, Australia based textile designer dedicated to creating unique and colourful home wares the traditional way - by hand. The brand was born out of a desire to decorate her home with textiles that are different, are not available in chain stores and not seen in every home. Angela's designs start with her drawings or paintings. These designs are screen printed by hand using non-toxic water based inks in her local studio. This handcrafted process ensures that each product is unique and in limited supply. 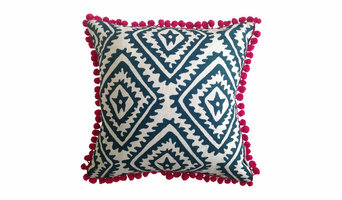 Her designs combine bold and traditional patterns in a modern and eye catching palette. Local Family owned business, In sandgate since 1959. We have a handpicked team of 15 quality craftsmen and women with combined experience of 550 years and these dedicated men and women are without a doubt the best in business. We have one of Brisbane’s largest range of beautiful fabric samples with famous names such as Warwick Fabrics, The Wortley Group, Mokum Textiles, Sanderson Fabrics, Robert Allen, Zepel Fabrics and Unique Fabrics. See for yourself and visit us at our showroom in Sandgate. Specialising In full restorations of antique and fine quality furniture including French polishing of timber, repairs and reupholstery. All domestic and commercial furniture restoration services. New custom upholstery for cafes,restaurants,bowling alleys etc. KC Upholstery is operating in Brendale with over 40 years experience in providing recovery and restoration services. 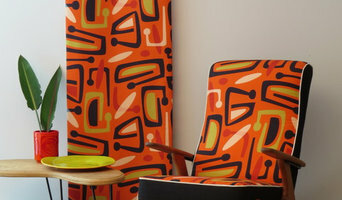 Fabulous fabrics and quality materials to give you favourite chair or couch a new lease of life - on display at Brendale. Ian Wells French Polishers is a locally owned family business located in the Brisbane region (Queensland, Australia) which has been in operation for 35 years, our current team represents some 60 years of combined experience in the furniture and French Polishing industry. Ian Wells and his team pride themselves on providing excellent quality craftsmanship and great service to both the public and industry predominately in the wider Brisbane area including Logan, Gold Coast, Ipswich and the Sunshine Coast. At Couch Cleaning Brisbane we have different technique to clean couch. We can clean your fabrics using steam cleaning, warm water cleaning, dry foam cleaning, or dry solvent cleaning. Our experts are qualified through the Institute of Inspection Cleaning and Restoration, and can handle any of the fabrics which are on the market today. SquareFox cushions, poufs and ottomans made locally in our sunny studio in Brisbane, Australia. Specialising in custom bench & window seat cushions for outdoor & indoor spaces. Here at Stitched Design we are bringing automotive and household upholstery together with new and exciting ideas for around the home and kids. 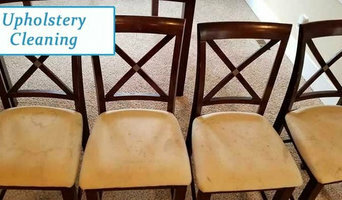 We have over 10 years experience in the industry of Motor Trimming and Upholstery. We can help you with bringing that old worn out lounge back to life and make it look like new. We can also repair worn out car seats, falling roof linings or make a new tonneau cover to complete your ute. You will find through our online store that we also offer a range of office chairs, cushions, folding stools and kids stools all in your choice of fabric from our range that is always growing. If you have any questions or looking for a price on that project you have been thinking of, send us an email and we will help you. Essentially, upholsterers work with fabric to cover seating, bedsprings, cornice boards, pillows and other furnishings and interior elements. They also might attach or replace padding and batting, trim a piece with fringe or another border, add piping and tufting, fashion slipcovers and refinish wood. Some upholsterers are skilled at furniture construction and repair. They can also advise you about the pros and cons of different fabrics so you can choose the best type for the project in your Fortitude Valley home. Find an upholsterer on Houzz. Narrow your search in the Professionals section of the website to Fortitude Valley, Queensland upholstery. You can also look through Queensland photos for projects similar to yours, and contact the designer for upholstery information.